Our advanced servo technology yields the highest accuracy and repeatability while minimizing waste. 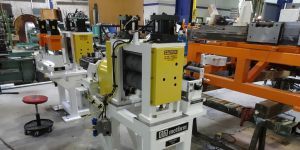 The system includes length measuring and batch counting systems. 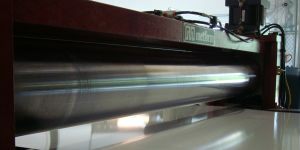 Our systems provide high speed and accurate control of the strip into the press where tight tolerances of features and length are required. User friendly HMI interface allows for part number selection and parameter settings for closed loop length corrections. 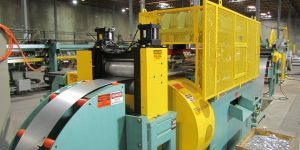 Accurate strip feeding for tight tolerance pre-pierce roll forming applications or cut to length lines.